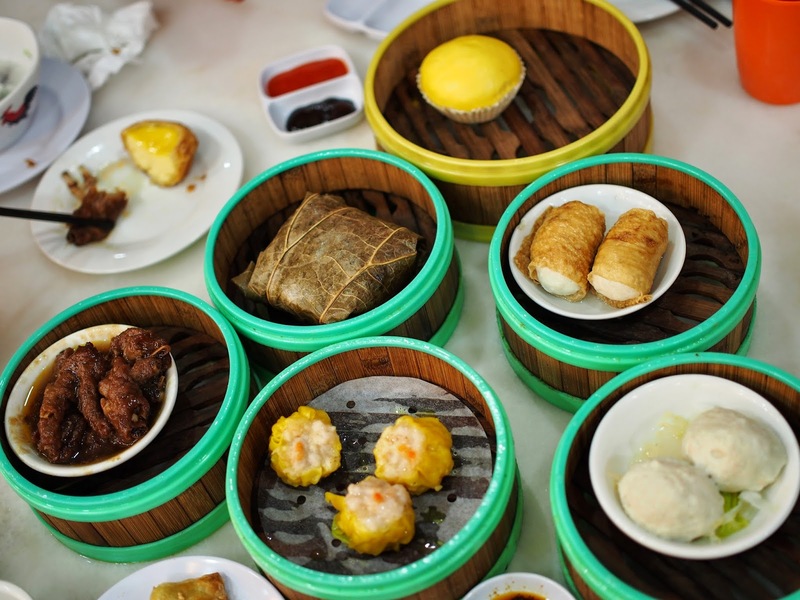 Dim Sum joints are basically a dime a dozen in Malaysia. We have restaurants of different price points ranging from stalls in coffee shops/food courts to restaurants in 5 star Hotels. Agnes was craving for some Dim Sum for breakfast on Saturday and we decided to go to Jin Xuan. Basically, this a chain of Dim Sim restaurants with 6 branches across Klang Valley. 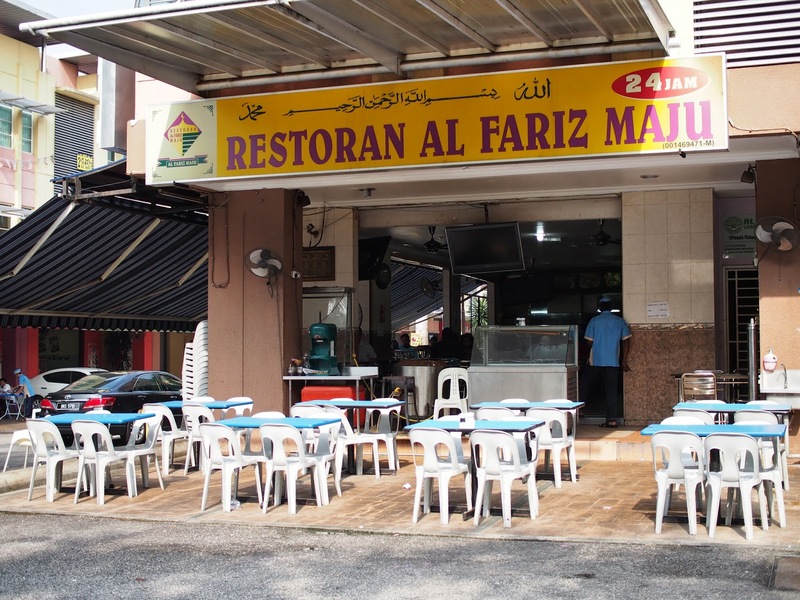 We decided on the Damansara Uptown branch. We arrive fairly early at 8.30am hence it was not so crowded. The late morning crowd at this outlet can be horrendous. 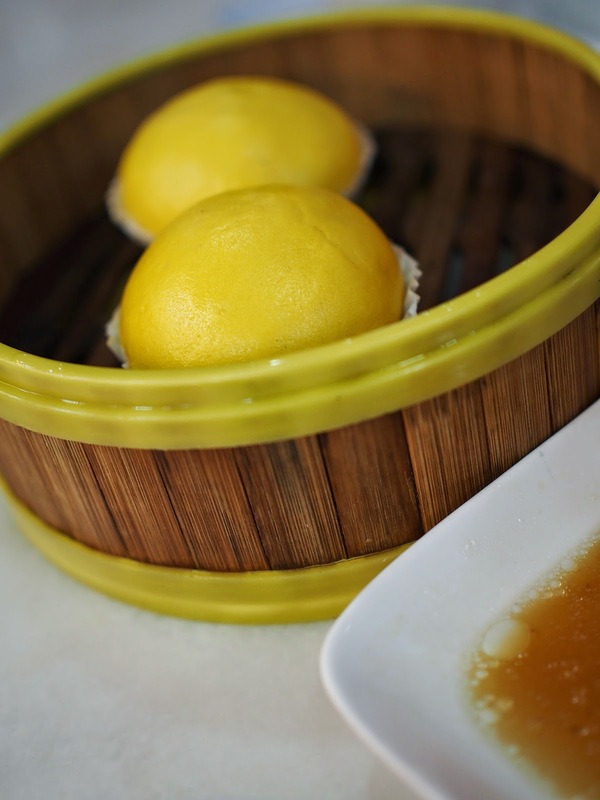 Even though this chain is branded as Hong Kong Dim Sum, there is nothing Hong Kong about the way the food is ordered. No carts here. We just fill up an order chit and they will send you the food. I usually start off dim sums meal with porridge. I was quite surprise that they serve 2 kinds of porridge. I remember the last time I was here they only serve the conventional minced pork and century egg porridge. This time around they serve pork ribs porridge. We ordered one each to share. The porridge generally was of a good consistency. Not too gooey or too watery. 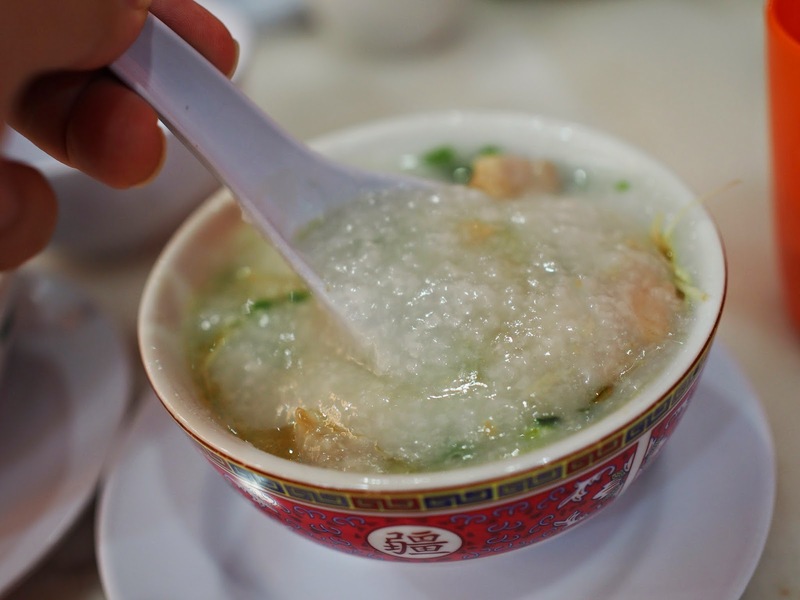 The minced pork porridge was, well, normal. Nothing spectacular to write home about. The pork ribs porridge though was a bit odd. How they make it is they mixed a portion of the steamed pork ribs we normally get in dim sum shops into plain porridge. It was quite salty and spicy. Not my cup of tea. 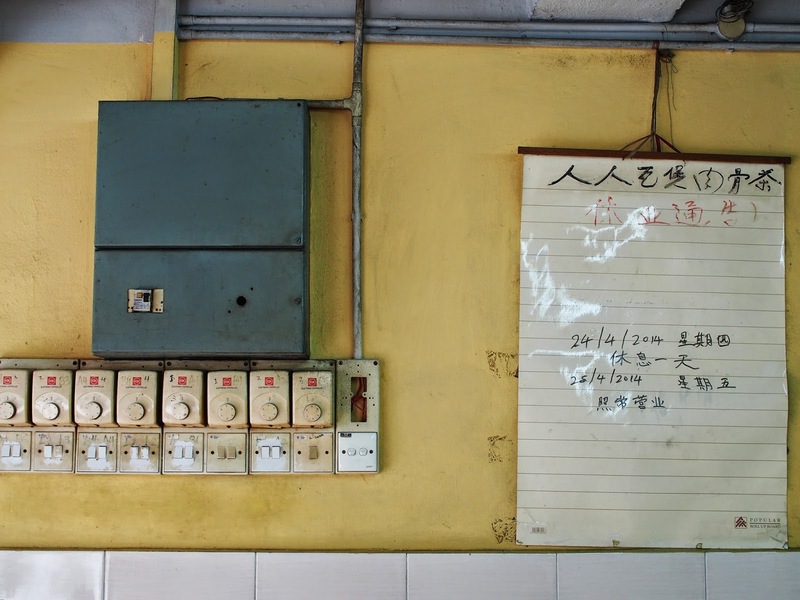 Many people had being raving about the "lau sar" pau here. Literally translated, "lau sar" pau means bun with flowing sand. I guess the reason it is named so is because of the colour and texture of the filling that resembles quick sand. 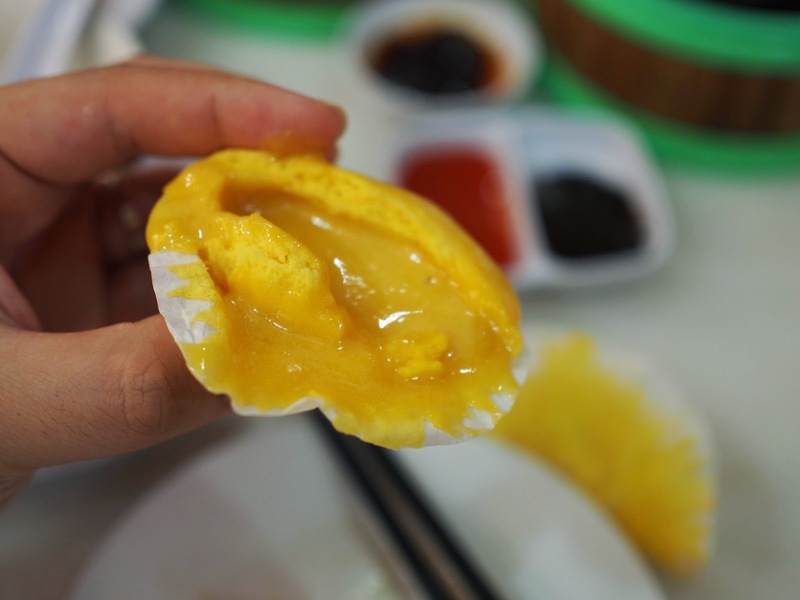 Actually, the filling is made from a mixture of salted egg yolk and custard. True to its reputation, the buns did not disappoint. The dough were soft and the fillings flows when you bite into it. There is also no overpowering taste of salted egg yolks with the custard balancing it out nicely. 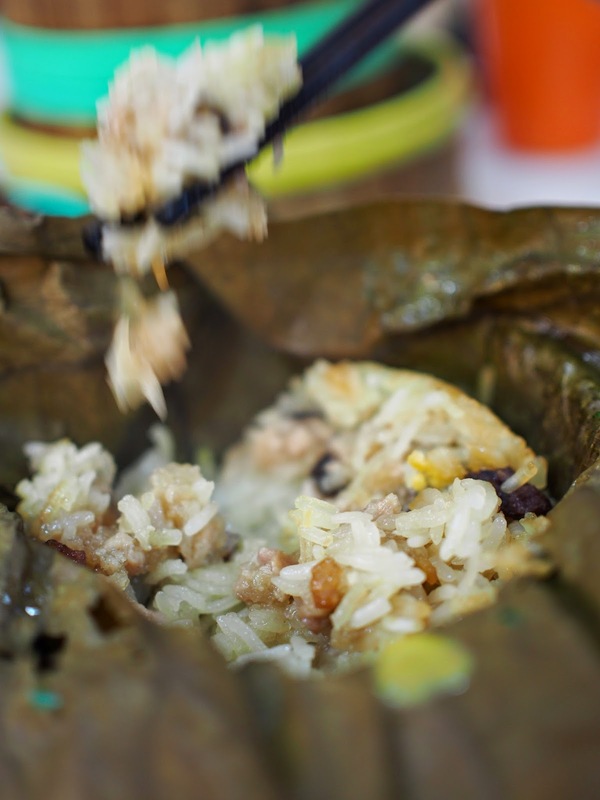 The next thing on the menu that was highly recommended was the glutinous rice wrapped in lotus leaf. 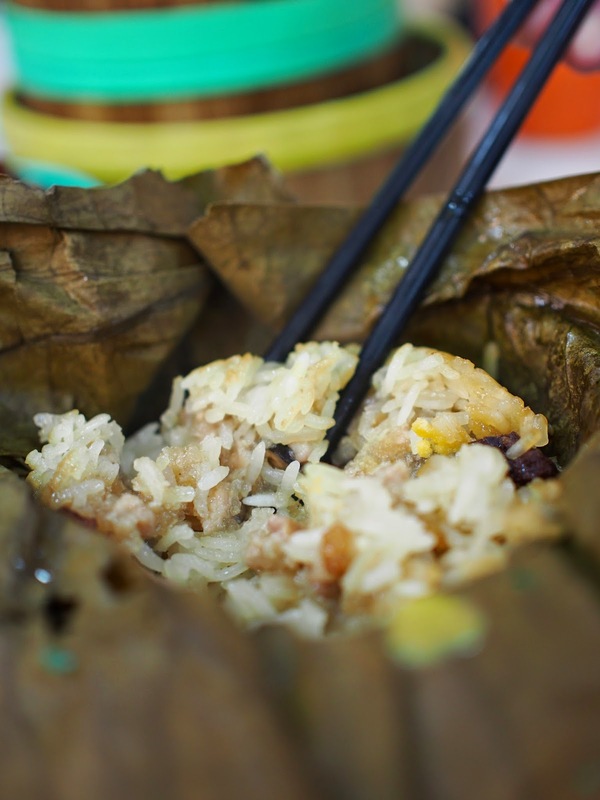 It is basically steamed glutinous rice with various ingredients such as minced mushrooms, dried shrimps, etc wrapped in lotus leaf and resteamed again so that the rice will absorb the fragrance of the leaf. Jin Xuan is basically a restaurant with a mid range price point. People come here for the comfort (it is air conditioned) and also reasonably good food. Personally I prefer dim sum joints that come with the hustle and bustle (push cart) and all. A good place I can think of is Loong Seng in SS2. After all, a good meal is not only about the food itself but also the sensory experience that comes with it. Last Saturday, I wanted to go to Yut Kee for breakfast as I intend to visit the place before they move to their new premises. However, the place was packed to the brim and overflowing with people. 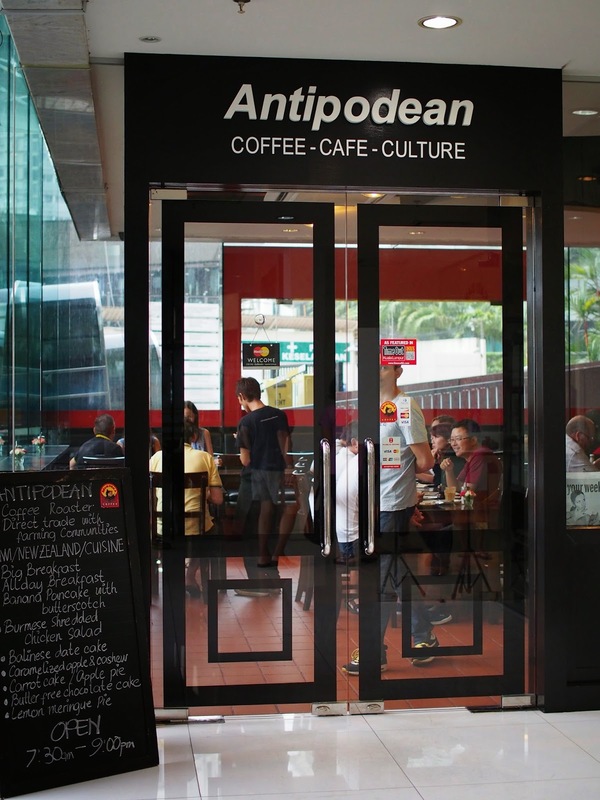 We activated Plan B and made our way to Antipodean Cafe (Coordinates 3.156413, 101.720813) as I had heard and read good things about it. Minor drama as I some how had it stuck in my head that the cafe was in G Tower. Luckily a quick Google revealed the correct location. We arrived at the place around 9.30am hence it was not that packed. Got our selves a nice table quite easily. The decor of the place is quite minimalist. Some oak coloured furniture, bare ceilings which is all the rage now and one side of the wall is actually a blackboard with the full menu scribed on it. Yes, there is no menus. We have to order from the wall. 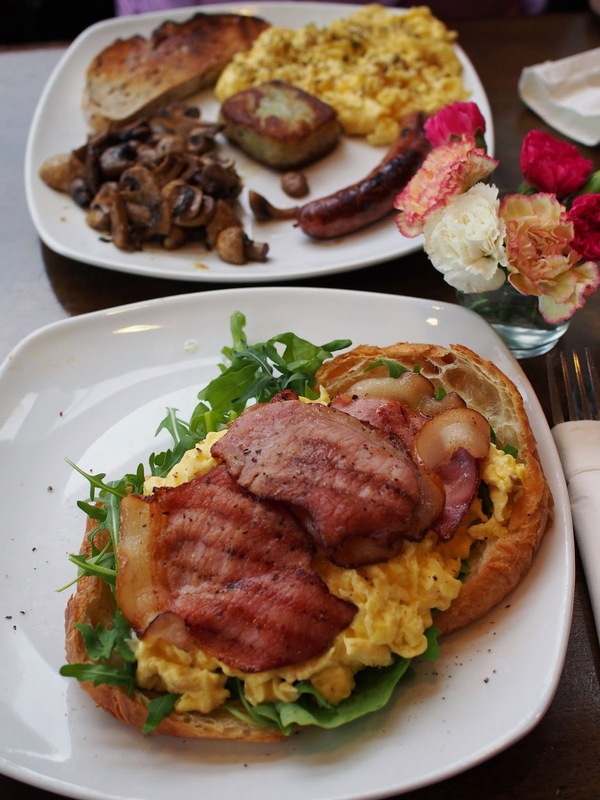 After straining our eyes and backs, we decided on the Big Breakfast , All Day Breakfast, Eggs Benedict with Bacon and Croissant with Scrambled Eggs and Bacon. 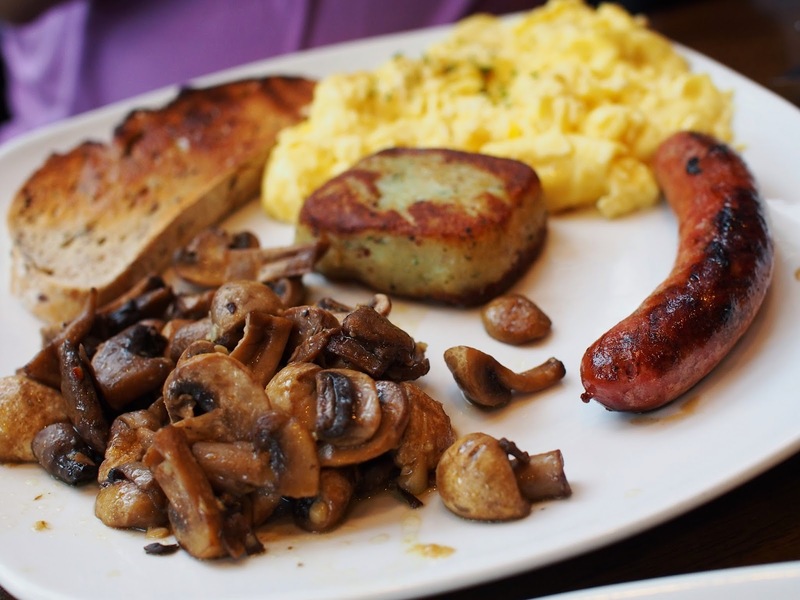 The Big Breakfast (RM20) consist of scrambled eggs, mushrooms, a piece of multigrain toast, a hash brown and a choice of either bacon or beef/chicken/pork sausage. 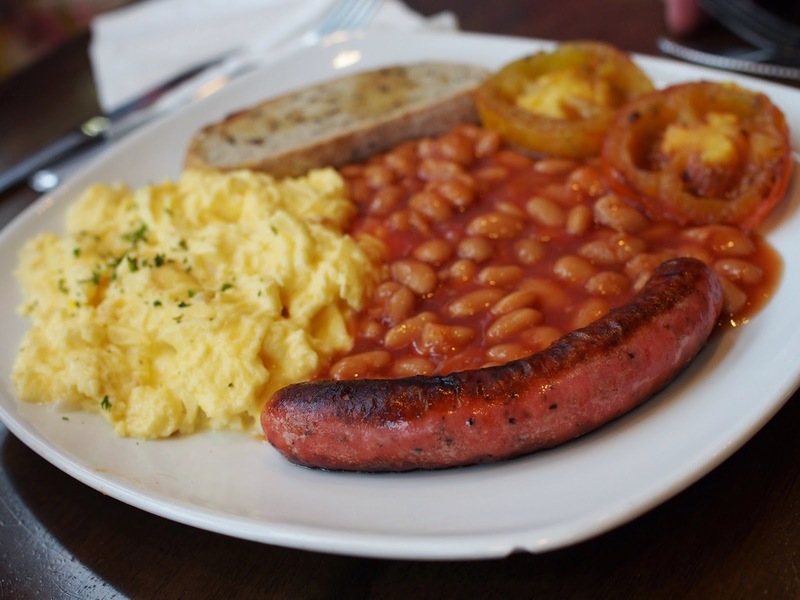 The All Day Breakfast (RM20) is basically the same fare except they swap the mushrooms with baked beans and hash brown with grilled tomatoes. Quite standard fare hence it is quite impossible to go wrong. The toast was good (not the kind that is too airy, if you get what I mean) but for the price, I would have expected a thicker slice or 2 slices. The hash browns, I believe are home made as they are not the typical type you find in fast food restaurants or frozen sections. They are actually quite flavourful and moist. A bit like begedil if you may. However, the sausage (not too sure whether those are home made) was a bit salty for my liking. 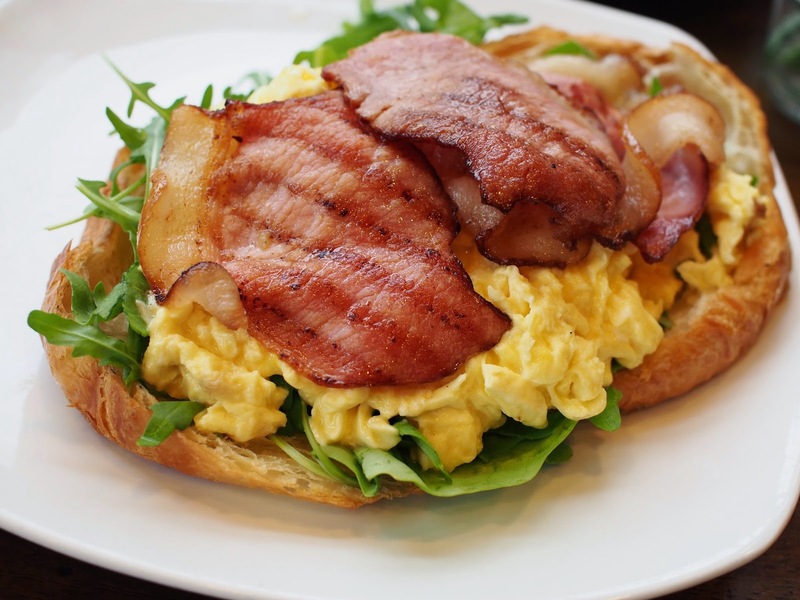 The croissant with scrambled eggs and bacon (RM19) is what it is topped with some rockets. Croissant is soft and fluffy without any overpowering butter taste. The rockets are a nice touch to balance out the saltiness of the bacons. 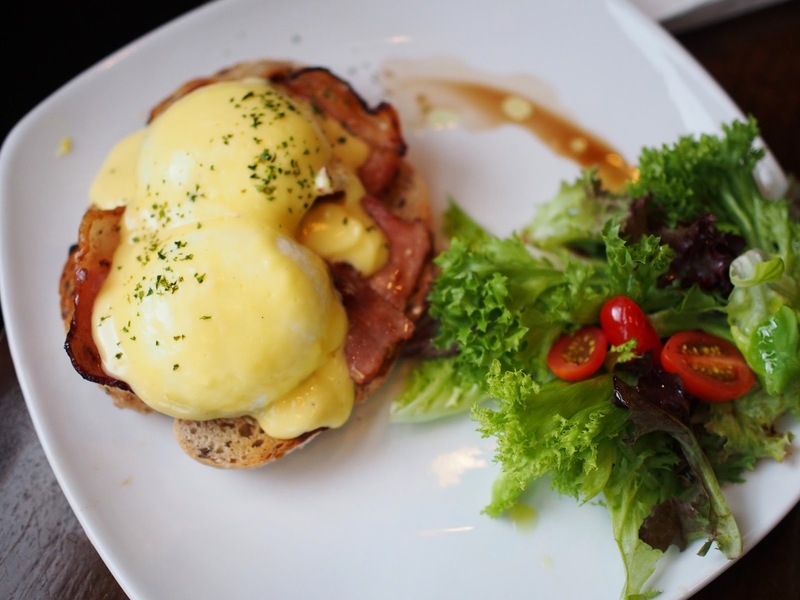 The eggs benedict (RM23) here uses the same bread as the toast on their breakfast platters. Personally, I would prefer the good old English style of using muffins on eggs Benedict. For one, the multigrain toast does not absorb the runny egg yolk so well. The Hollandaise sauce, however, is quite excellent. There is tinge of lemon taste in it that balances out the bacon. 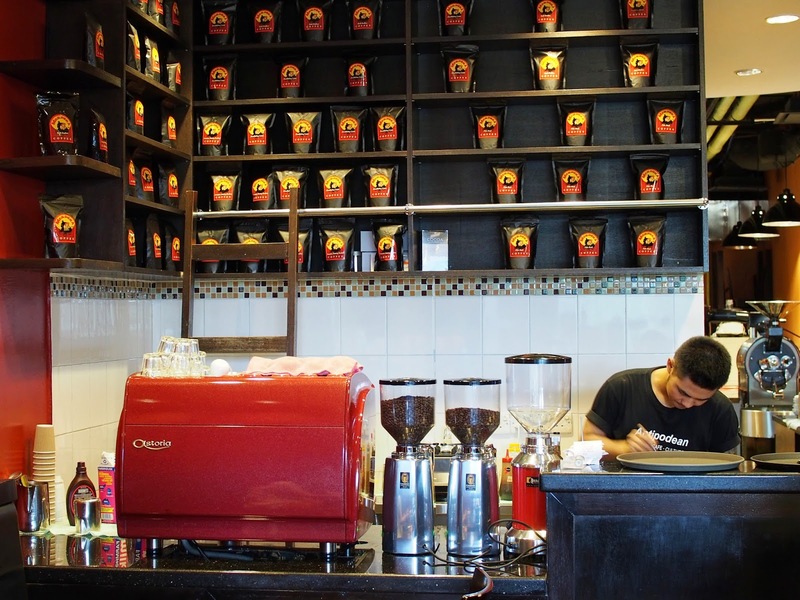 This place is a the place to be if you are a coffee lover. 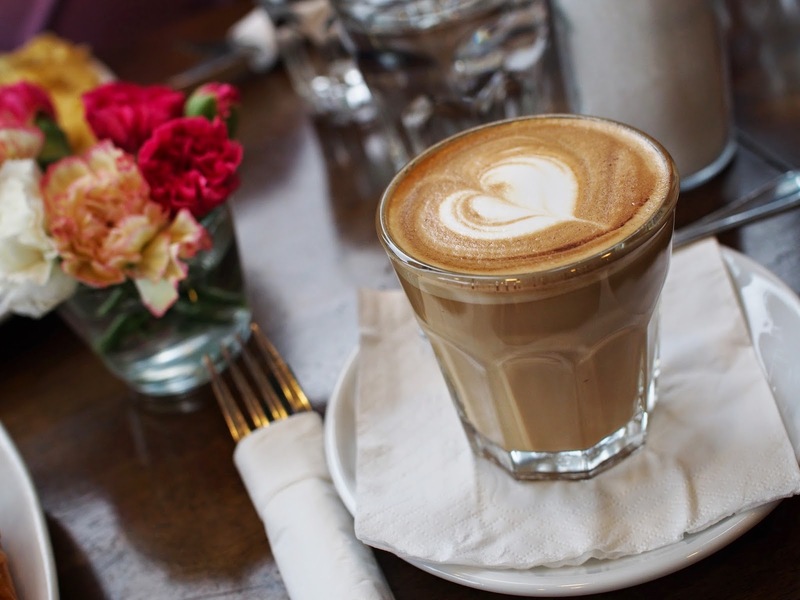 They serve the full range of hand brewed coffee from cappuccino to latte to Affogato to Flat White. However, the Burmese server can't really understand what I wanted when I tried to order a French press. In the end, I settled for a good old latte (RM9). I have to say the barista is quite well trained. The temperature of latte is just right. You can't believe how many baristas can't get the temperature right even in so called high end coffee shops like Starbucks. More often then not they would whip up a coffee that is too piping hot. The beans they used are quite good. There is a fruity note to it with a strong after taste. My wife opt for the hot chocolate (RM9). I had a sipped of it and found to be too sweet and lack of chocolate taste. Too creamy for my liking. I would not recommend this. Overall, I would recommend this place as it is quite good value comparatively. As a comparison, Plan B's breakfast platter is RM31, a full 11 bucks more and consist of roughly the same stuff albeit it comes with a black coffee/tea and a juice. Plus this is one of the very few breakfast joints that serves pork. Moreover, situated in the Singapore equivalent of CBD, the area is not crowded on weekends. 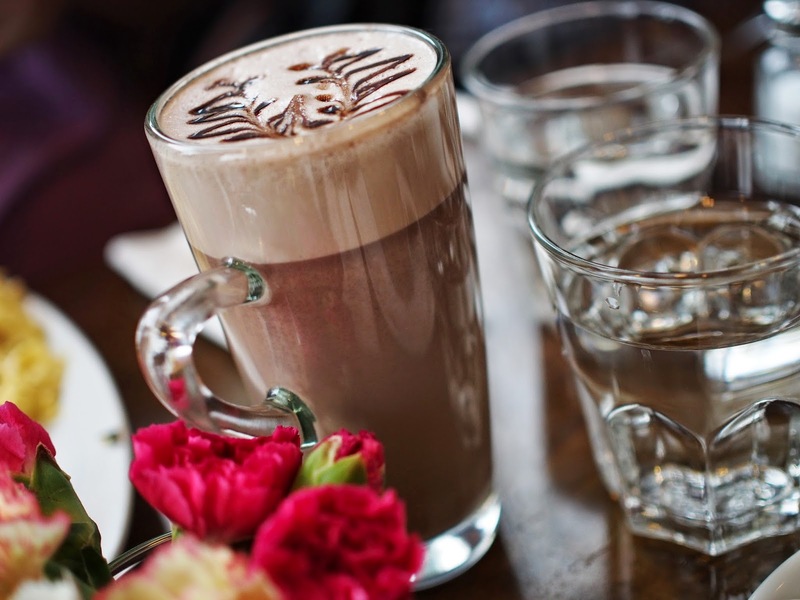 Good for a relaxing breakfast day out. Good coffee is another bonus point for this joint. I hail from a small town in the northern part of Johor (the most southerly state in Peninsular Malaysia) called Segamat. 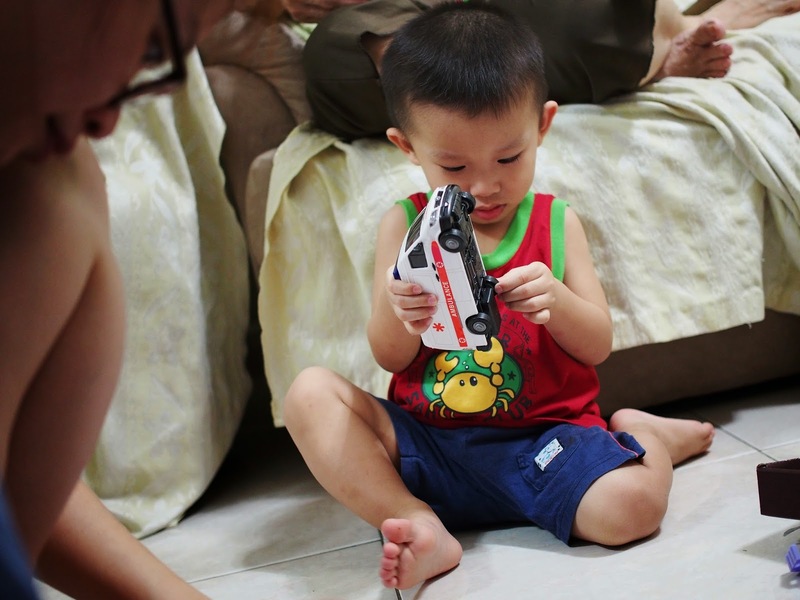 With a population of roughly 200,000, it is about 172 kilometres from Johor Bahru, the capital of Johor State. Away from the hustle and bustle of the big cities, the pace of life there is generally quite relaxed. People there can generally wake up at around 8 in the morning, and go for a leisurely breakfast at one the many eating establishments. 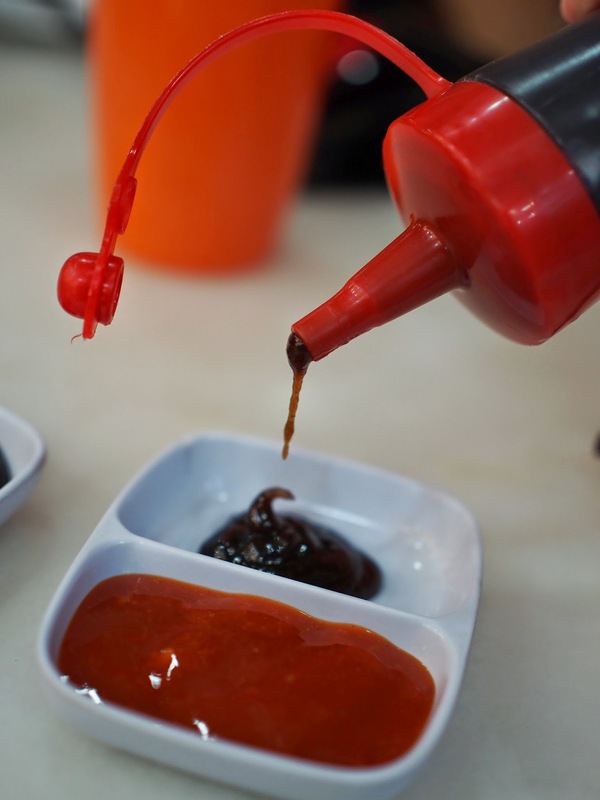 Though development had brought around the likes of Western cafes and MacDonald's, Segamatians tend to find comfort in more traditional eating places. 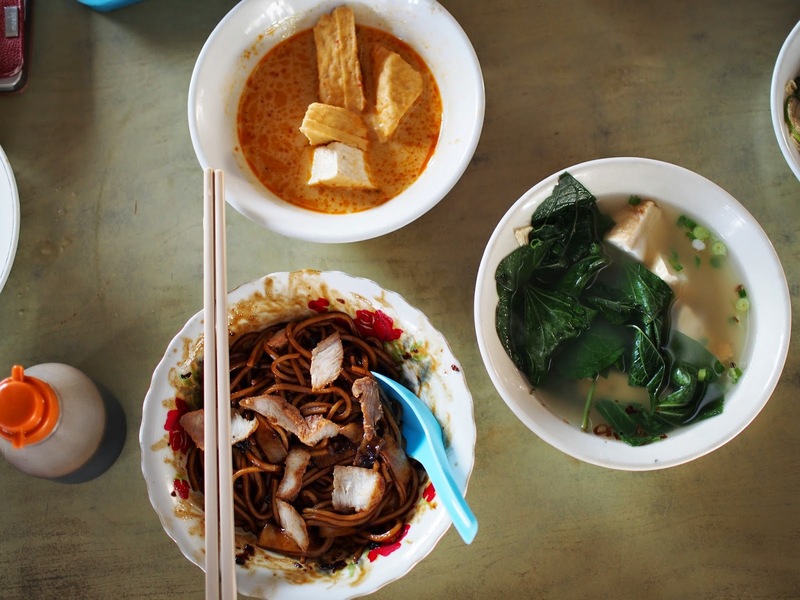 One of my favourite breakfast haunts is a noodle stall opposite Shell along the main road of Segamat (Jalan Genuang) - Approximate coordinates 2.495486, 102.835965. No, it does not have any name. 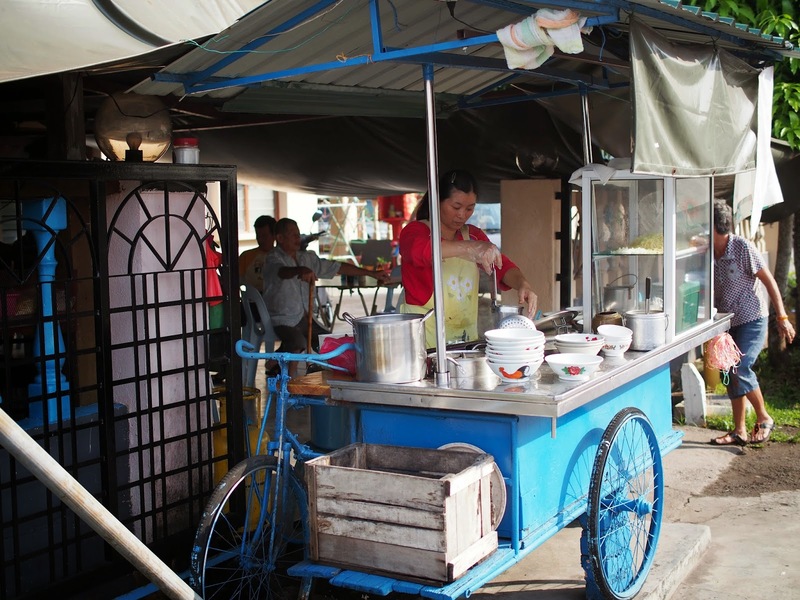 How the stall started was that the owner used to peddle the noodles on a trishaw. My dad and uncle basically grew up eating the noodles. As the owner gets older, he decided to pass the recipe to his daughter, and set up stall in front of his house. A few tables and chairs and we can start doing business. That is the beauty of Malaysia. 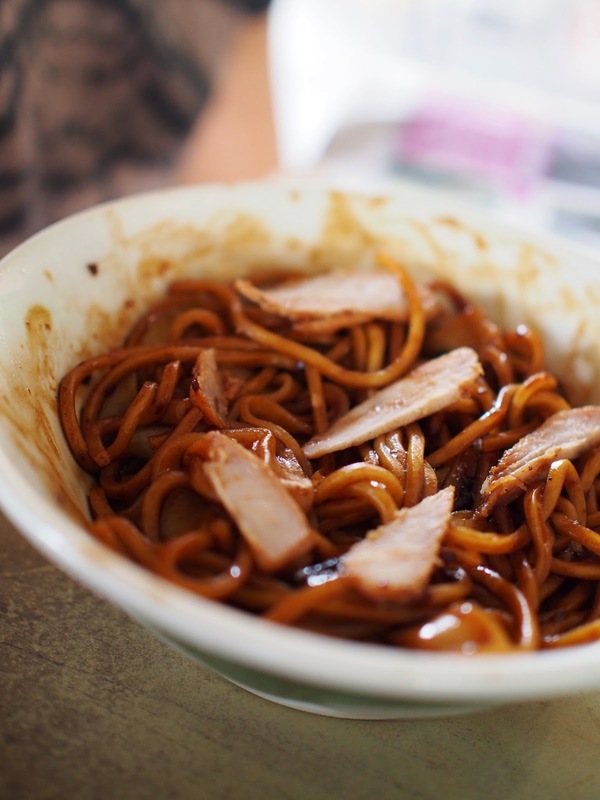 The noodles in question are basically blanched in water and then tossed in dark soy sauce, some lard and then garnished with slices of roast pork (char siew). Simplicity at it's best. 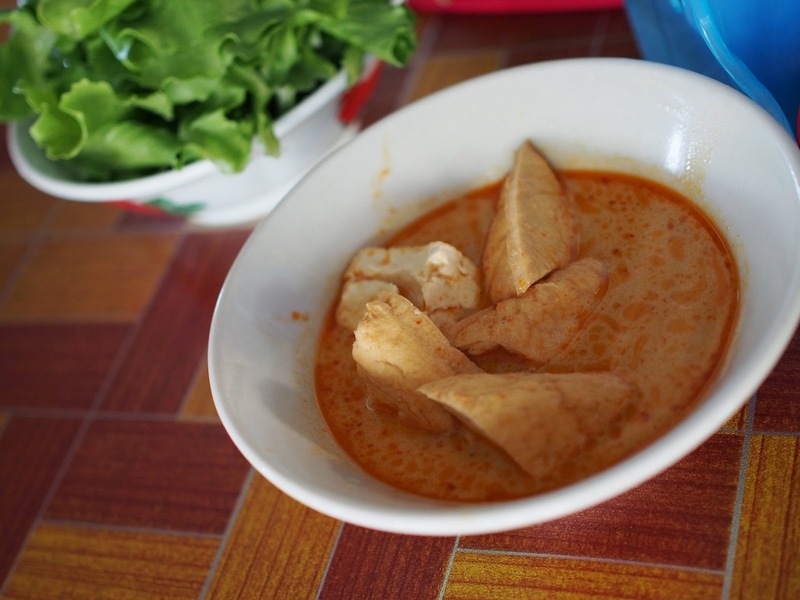 The noodles are usually accompanied with a bowl of condiments in soup and also a bowl of curry tofu. 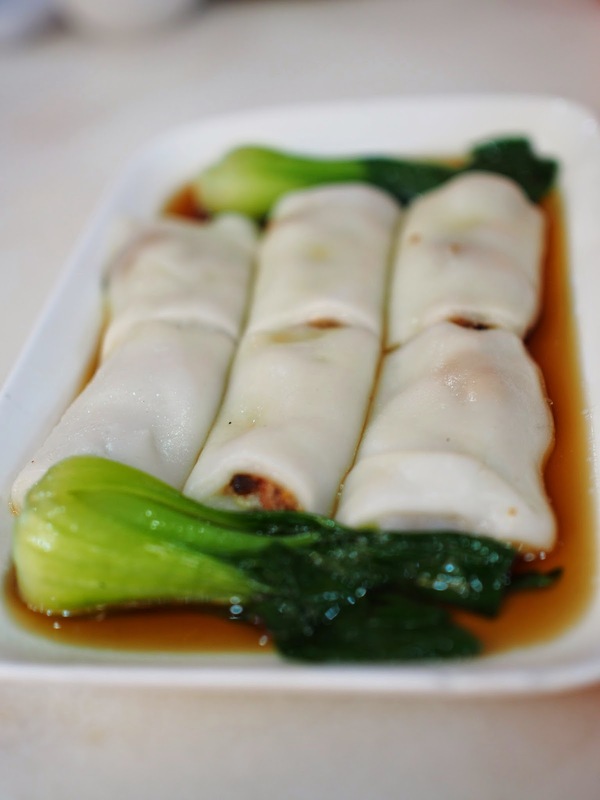 My favourite are the bean curd skins stuffed with fish paste and tapioca leaves. The tapioca leaves are fresh produce from our lawn. 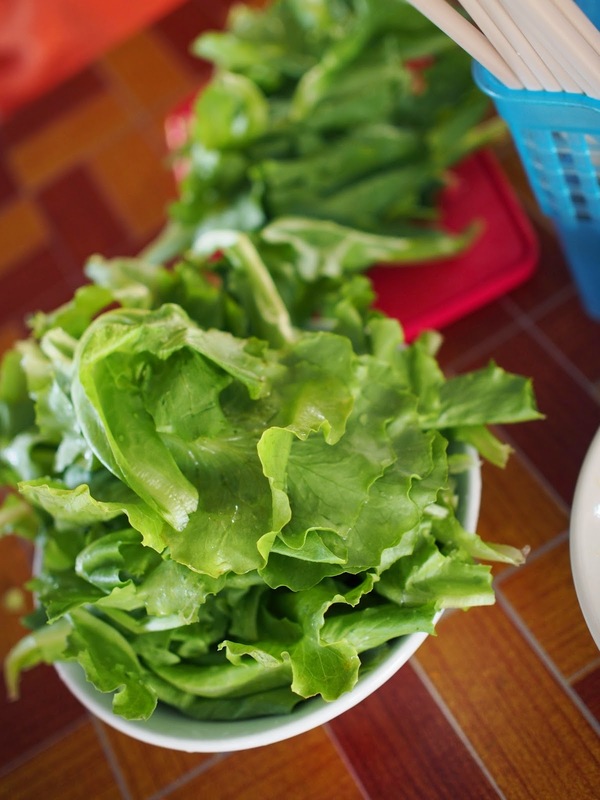 Besides the tapioca leaves, we sometimes bring some freshly harvested lettuce to complete the meal. This noodles stall, in my opinion, typifies that sometimes, the best does not need to be in a Michelin star restaurant. I once watched a movie about cooking and what the protagonist said is indeed very true - Memories are the best seasoning you can ever find. 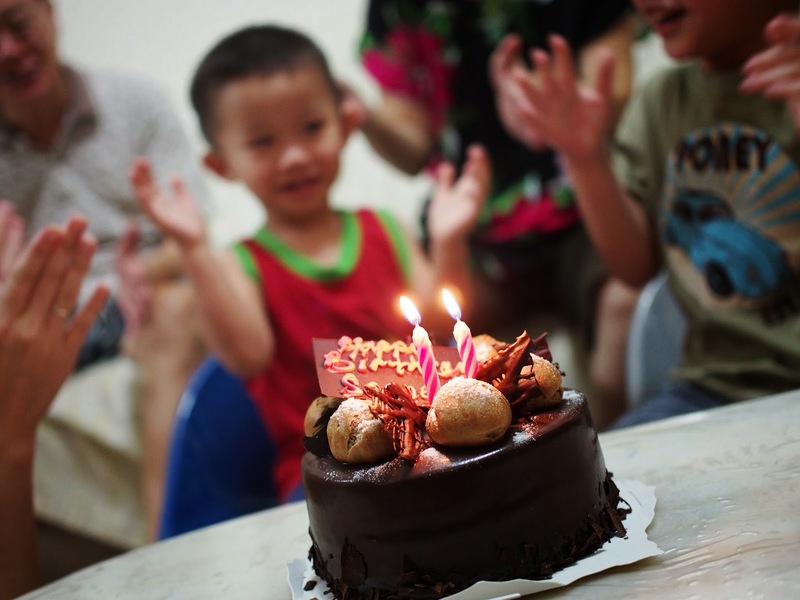 It was the birthday of my wife's nephew on Saturday. 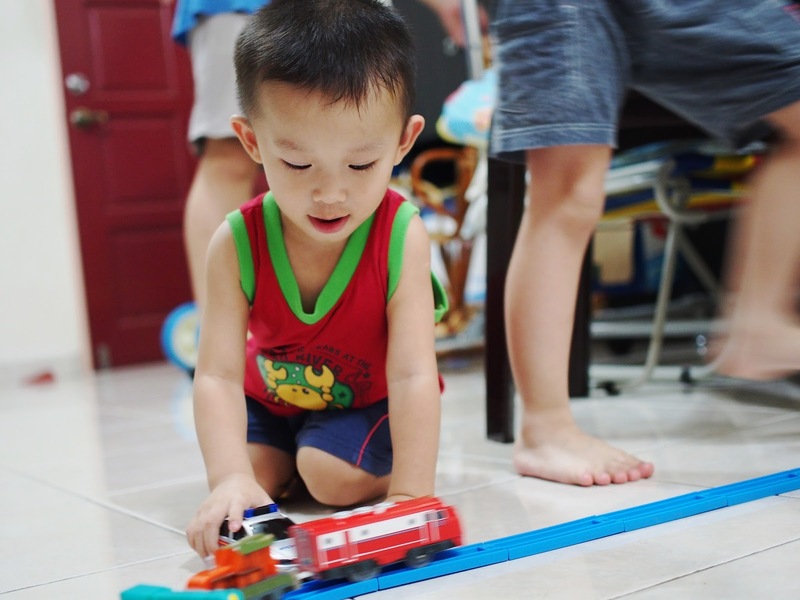 Not easy to take photos of an excitable 2 year old in indoor lighting. ISO was bumped up to 1250. Low light performance is EM-5 is indeed quite good. 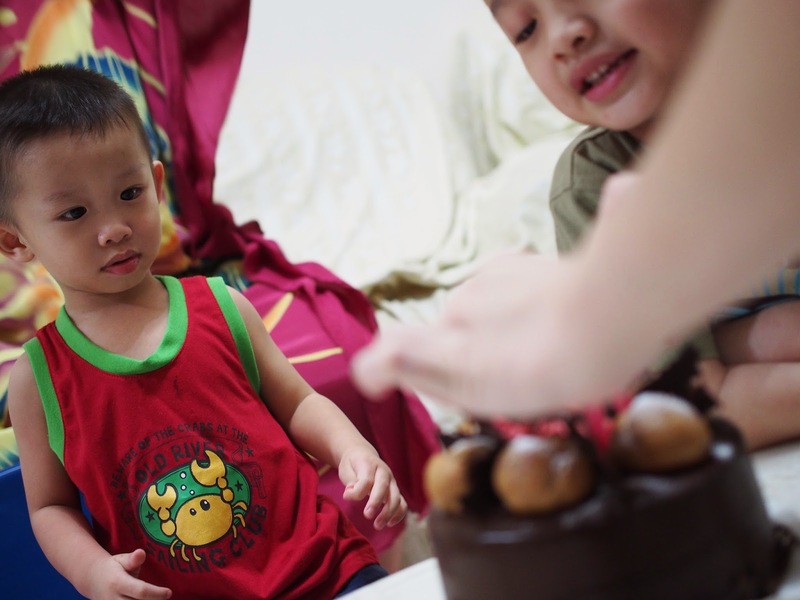 You can tell that Seong loves his cake. 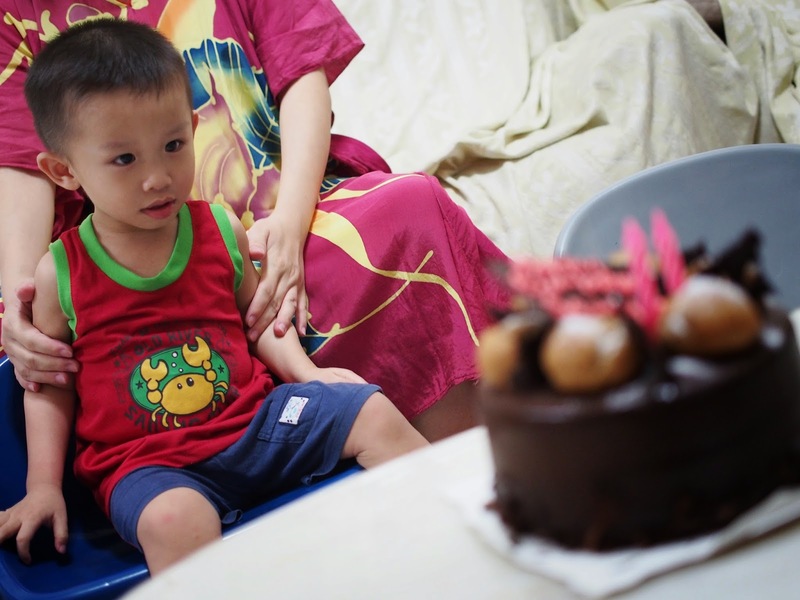 My wife have to hold him down to stop him from attacking the cake prematurely. 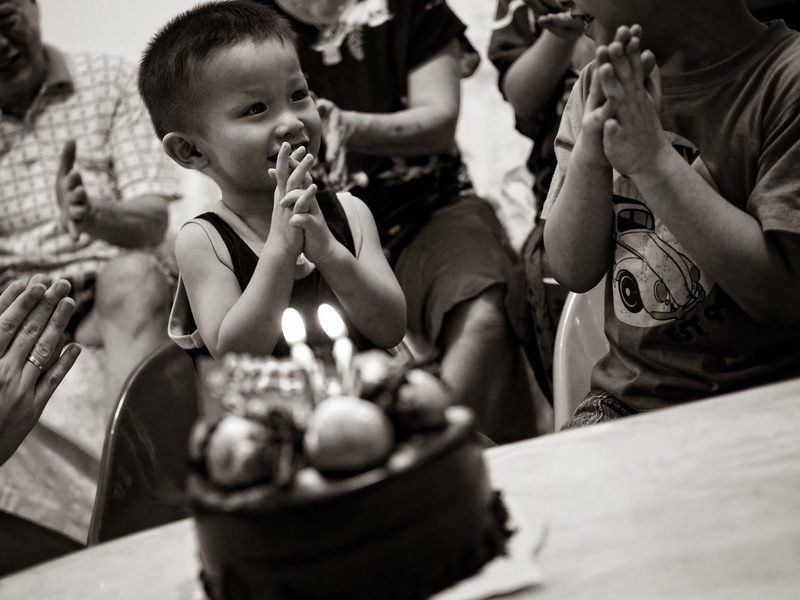 The black and white was created using Onone Perfect Effects 8. It is free to download for a limited time at here. Do note that the Perfect Effect 8 is a full software that usually cost USD 99.90. It is indeed the full version not some shoddy 30 days trial. 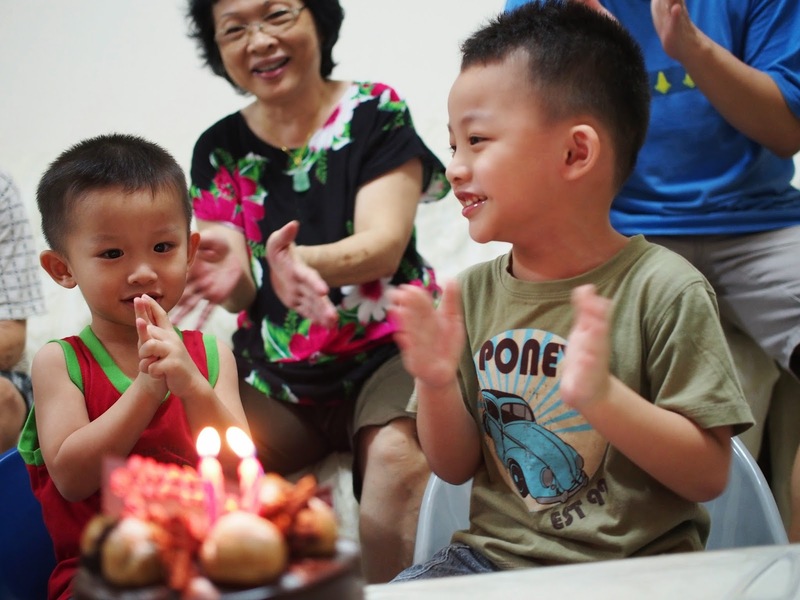 The Perfect Effect 8 is one touch software to add the desired effect onto your photos. It even supports Adobe Photoshop Layers. 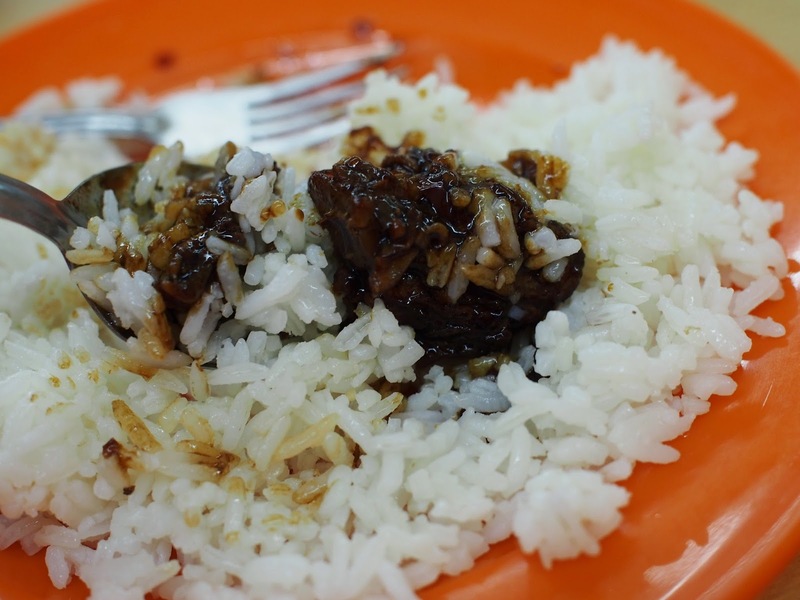 Being a multi-racial country, Malaysia is blessed with a wide variety of food. 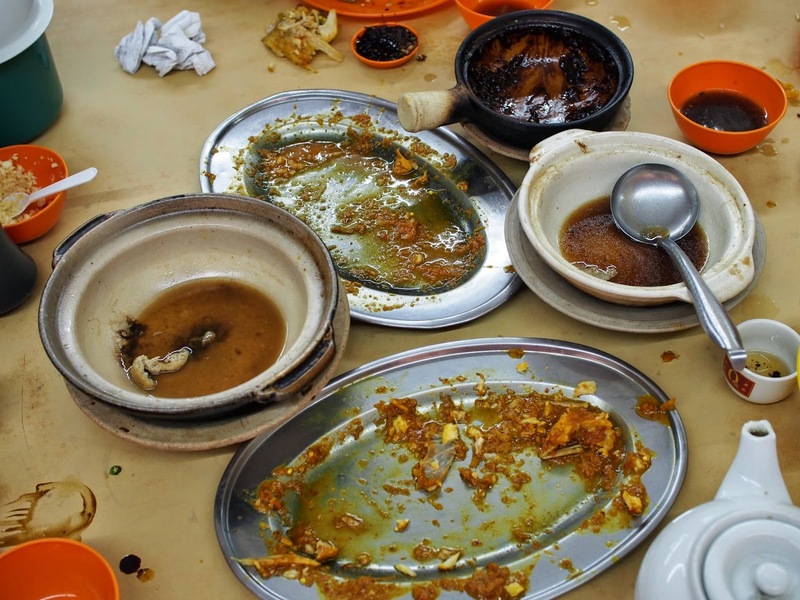 Were politicians divide, food (and maybe sports) is a unifying factor for all Malaysians. 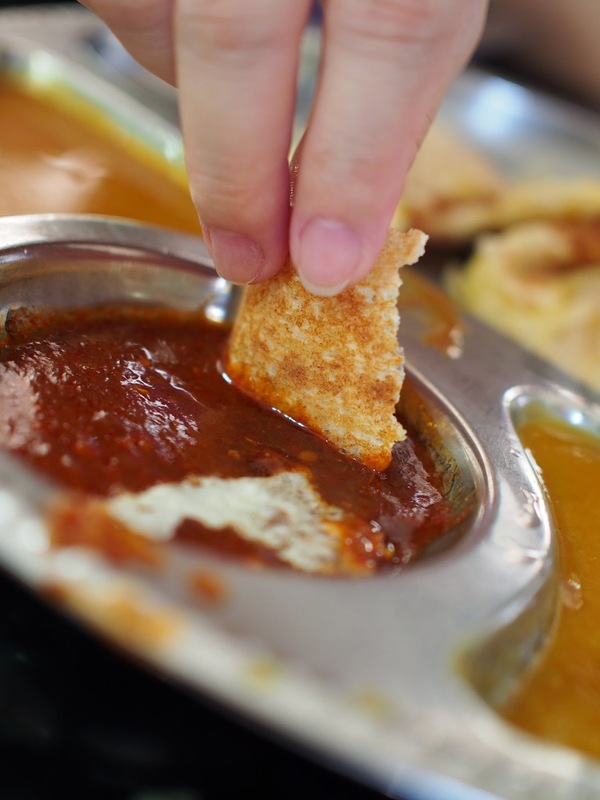 One of the all time favourite for all Malaysians is the Mamak Coffee Shop. Mamaks are what we locals refer Indian Muslims as. 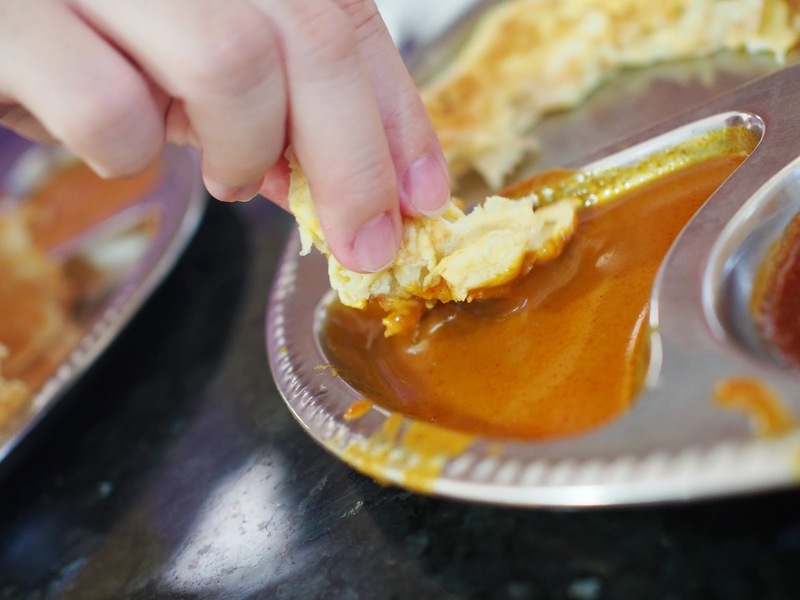 The most basic fare served in such establishment is something called the Roti Canai (Roti Prata in Singapore). Basically this is kneaded dough of flour, hand tossed and then fried on a hot pan. One can add eggs, amongst other ingredients, into the dough. 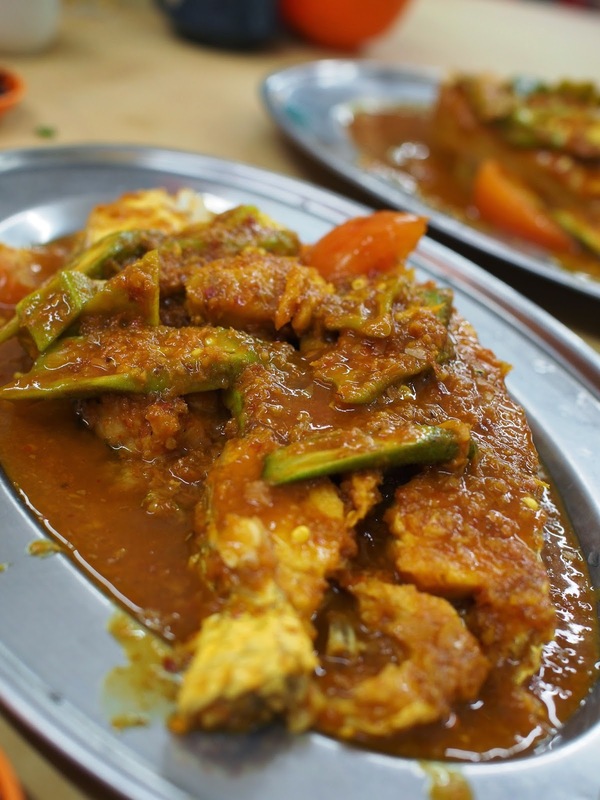 Often eaten with curry sauce, dhall (a concoction of spices and lentils and other spices) and sambal (concoction of Chilli paste, anchovies and other spices). The next common dish is fried instant noodles. 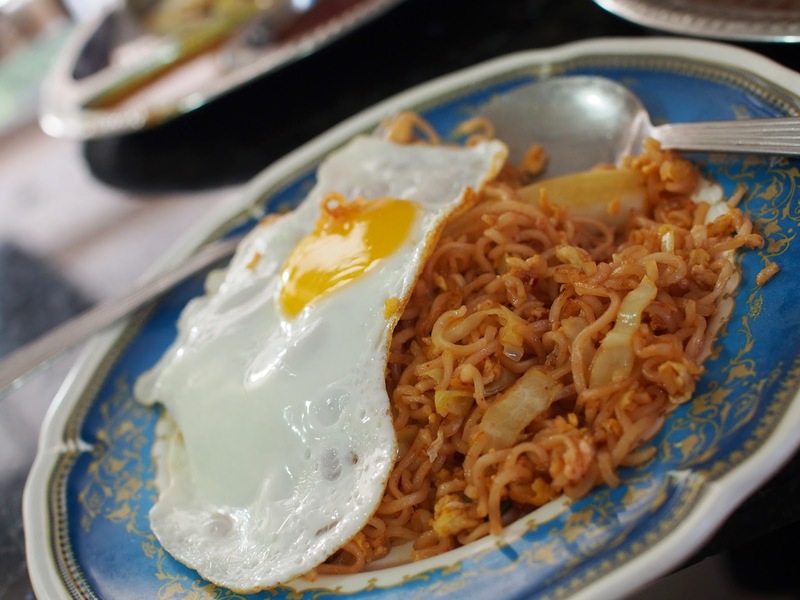 The instant noodles are cooked and then fried with the eggs, vege and whatever the cook feels like together with the sachet of seasoning usually to make the soup. I like to top it up with a sunny side up. 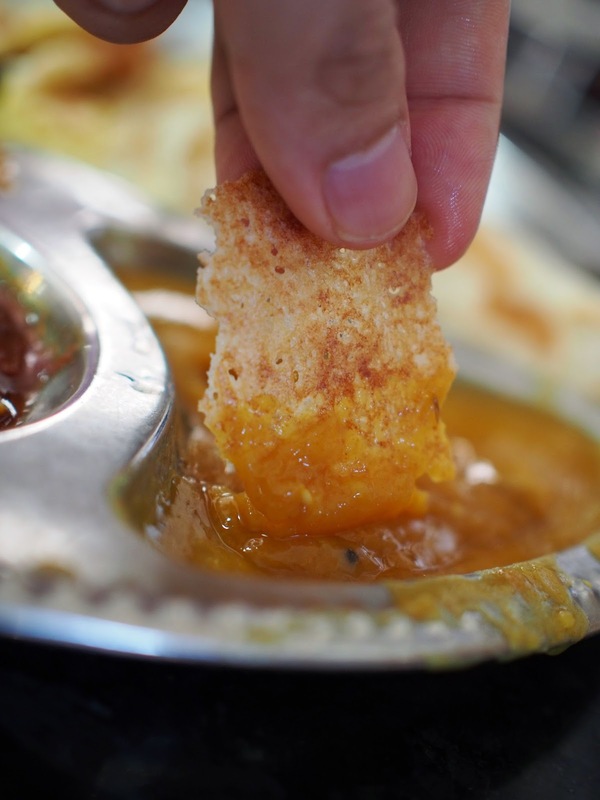 Tosai. This dish is made from a rice batter. The cook will take a scoop of batter and spread it on a hot pan. Quite similar to making crepe. 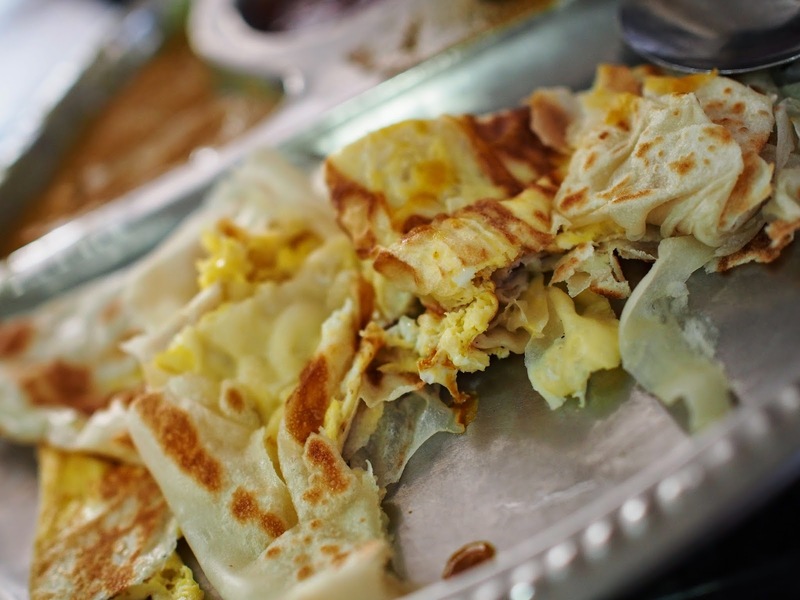 Like Roti Canai, one can add eggs and other ingredients to it. 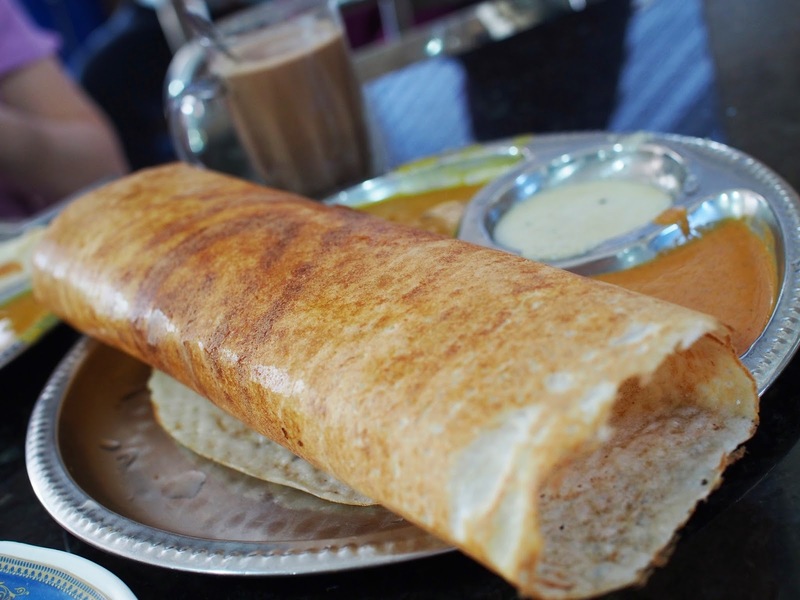 The version shown below is a Ghee Tosai. Ghee is kind of butter commonly used in Indian cooking. 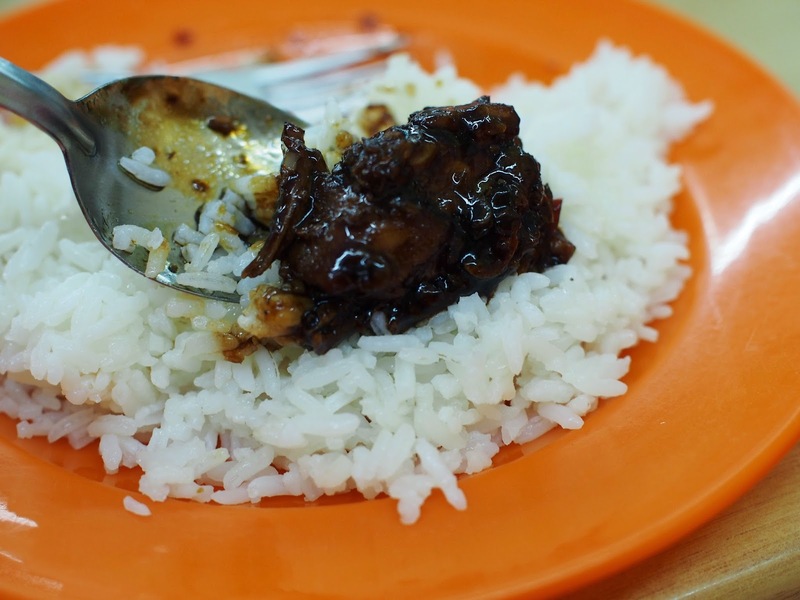 Ren Ren Claypot Bak Kut Teh, Taman Rashna, Klang. 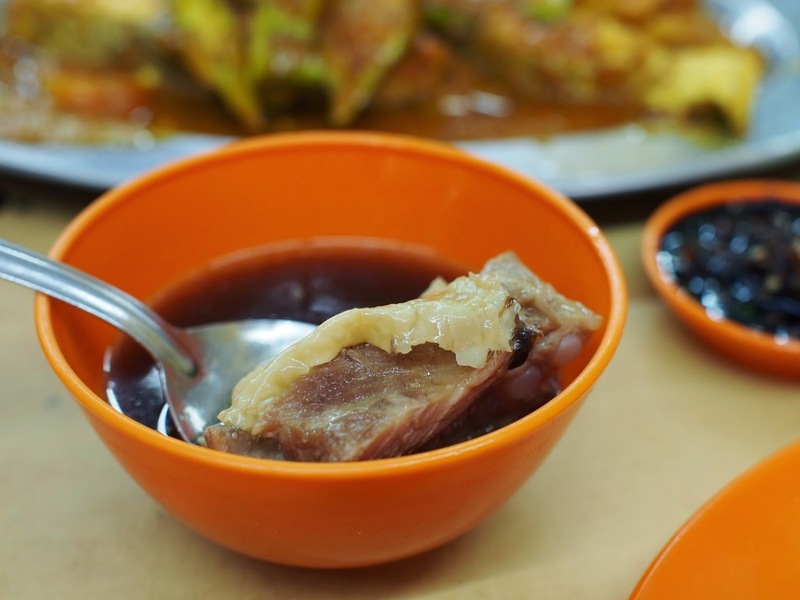 Bak Kut Teh is quite a common delicacy in Malaysia and Singapore. 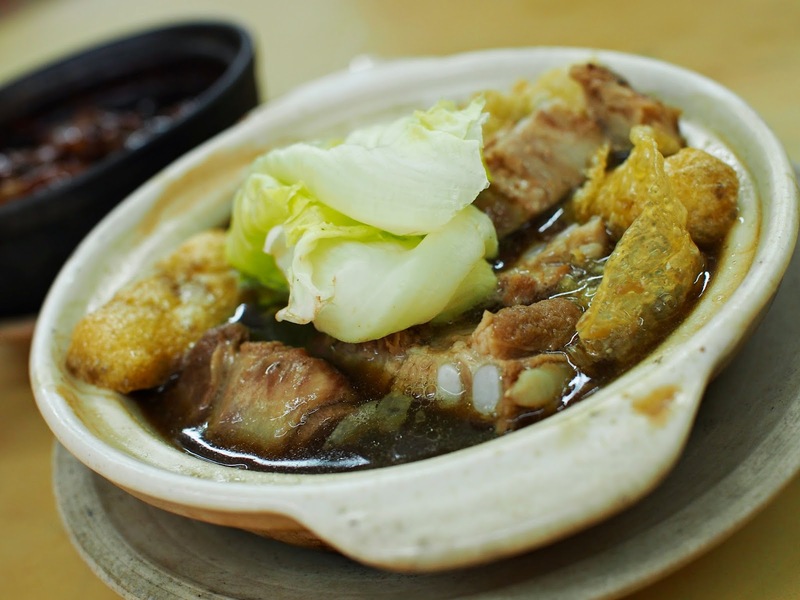 For the uninitiated, Bak Kut Teh is famous pork dish in the Klang Region of Selangor and also in Singapore. 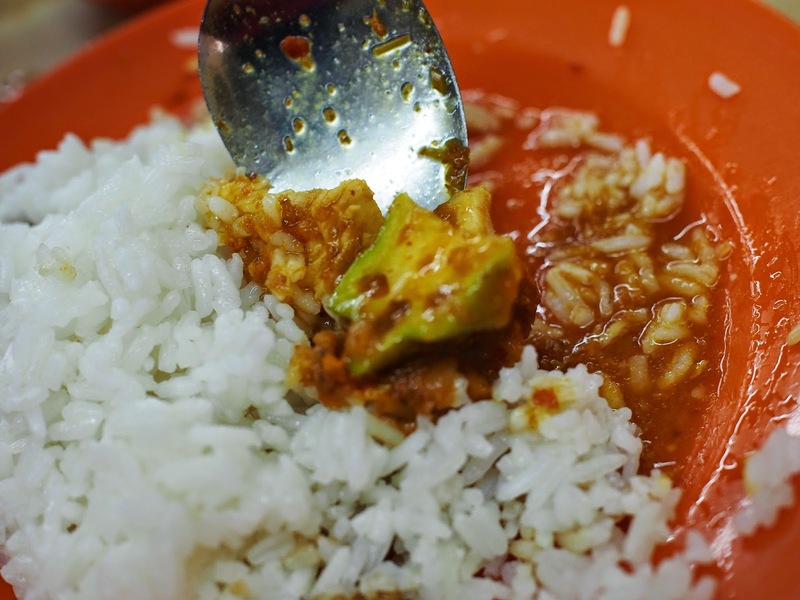 It is usually eaten for breakfast by the locals with rice and also fried dough sticks cut into pieces. Basically, it is a stew of pork ribs in a broth of herbs and spices. The difference between the Klang version and Singapore version is that the Klang version carries are more pungent herbal taste whereas the Singapore version is more peppery. 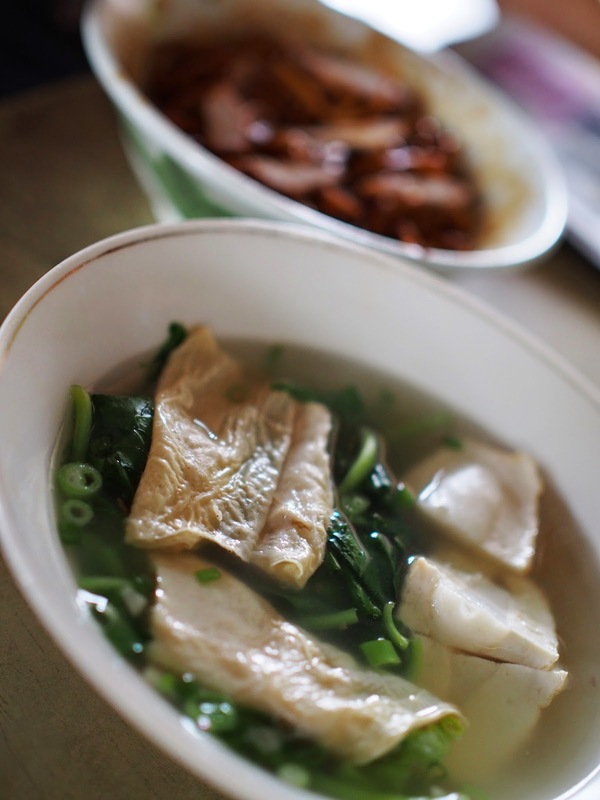 Besides the regular stew type, there is also a dry variation of Bak Kut Teh. Instead of stewing the pork ribs in broth, they are cooked in a very thick gravy like sauce with the said herbs and spices. 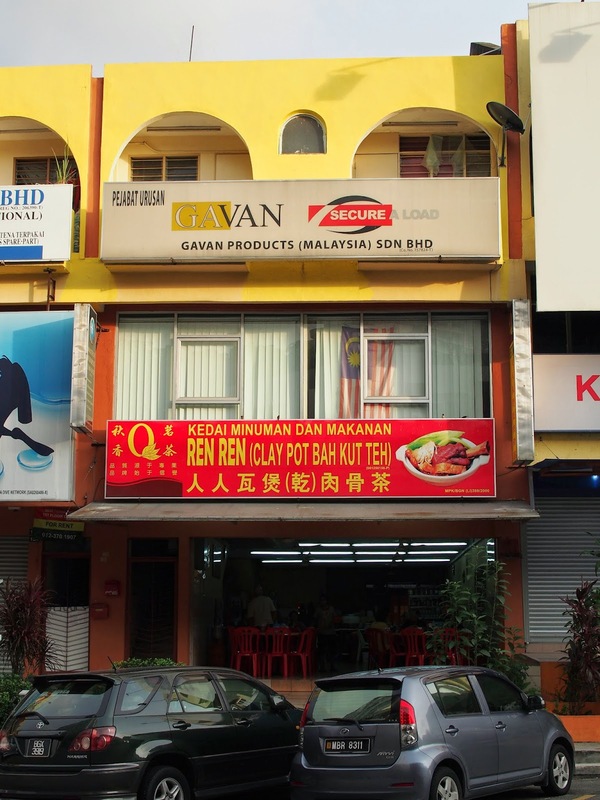 Ren Ren is one of the very few shops that serves dry bak kut teh and they are opened from morning till night, whereas other Bak Kut Teh shops around this region only open till noon. 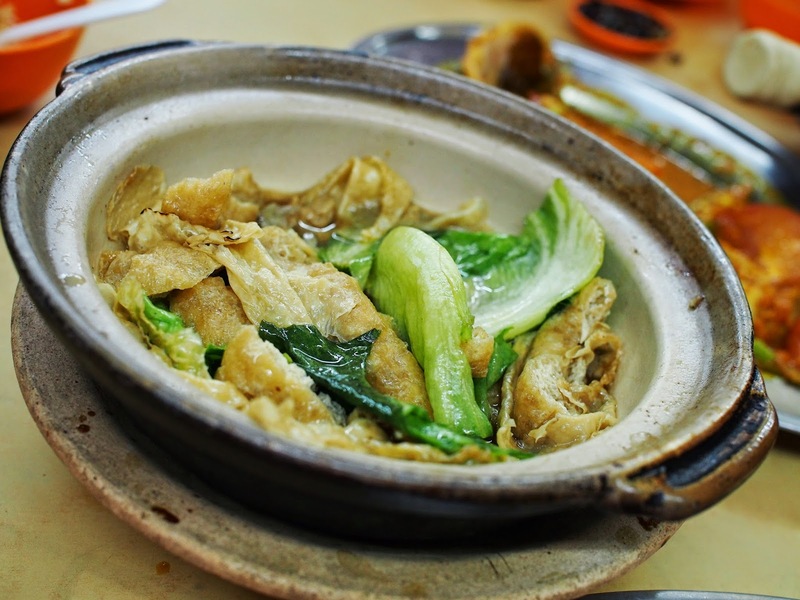 The soupy version of Bak Kut Teh in Ren Ren is nothing to shout about. It is not bad but somehow there is less herbal taste for my liking. For the soupy version, I still prefer the Teluk Pulai Bak Kut Teh (Corner Shop at the row behind Ren Ren). The main event. The pork ribs are actually the same as pork ribs from the soupy version. 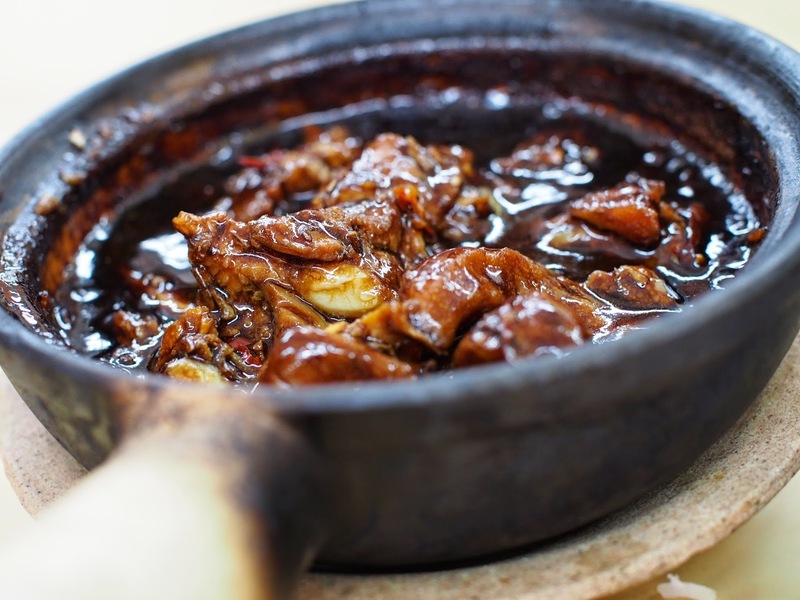 Basically, the cook just use the pork ribs that were already slow cooked in the broth and have a quick stir fry in a claypot with the special thick sauce. What we have here is a succulent pork ribs whereby the flavour is locked in from the stir fry and complemented by the thick sauce. Goes very well with rice. Besides Bak Kut Teh, this shop serves quite good Assam fish too. 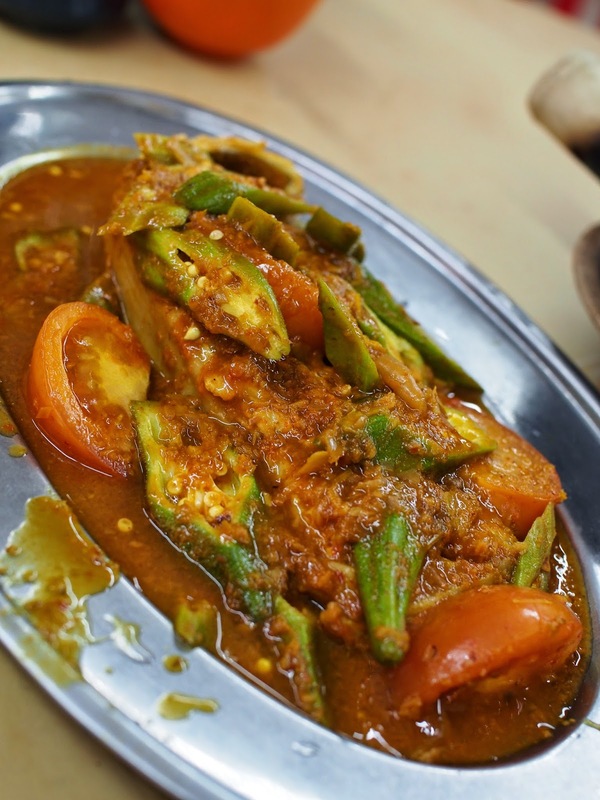 This is a dish of fish (can be mackerel, sting ray, shark meat or any other fish that is on the menu) cooked in a sauce of tamarind and chilli together with aubergines, tomatoes and okras. For those who are less heat resistance, you may request the cook to tone down the intensity. Prices are reasonable. 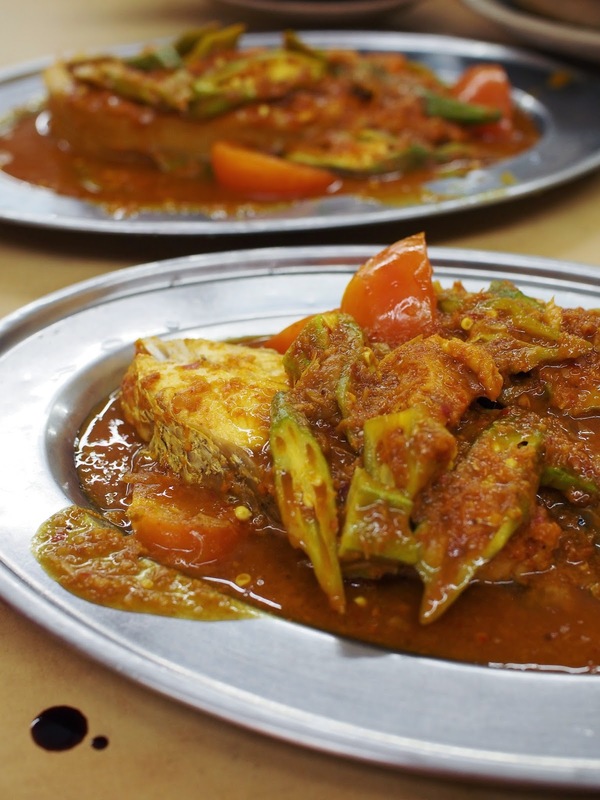 For a meal of 2 pots of ribs, a pot of veges and bean curds, 2 assam fish (sting ray and red snapper) with rice and water for tea (customers are allowed to bring their own tea leaves as it is the custom in this part of the world), the total bill comes to RM80++. 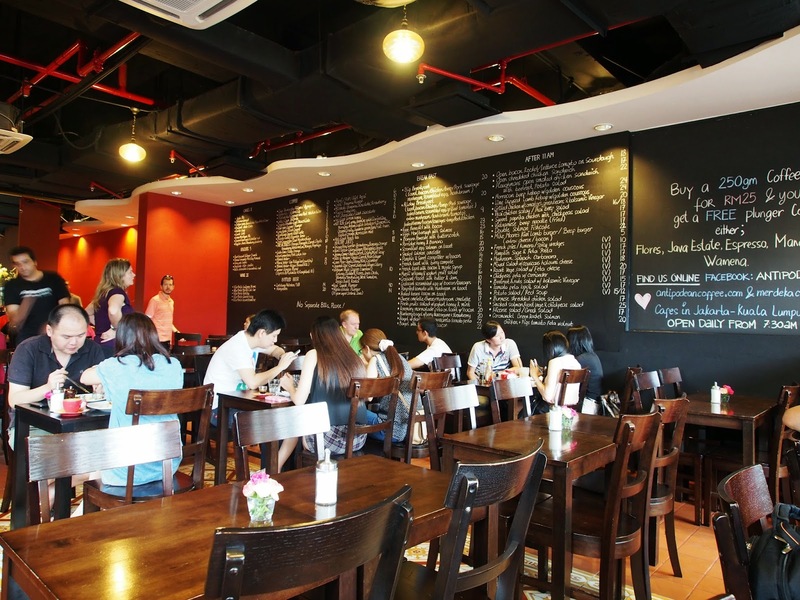 For those who intend to come here for dinner, try to be early as it tends to get crowded.